How fast can I ride with SAEM? The top speed of SAEM is 25 km/h / 15.5 mph This is due to legislation as SAEM is seen as a PLEV – personal light electric vehicle. Why is SAEM so light? SAEM is extremely light weight as his frame is made almost entirely from wood. All other components are manufactured in Central Europe to fulfill our high production standards. Furthermore the construction with three wheels allows for an additional weight reduction whilst keeping the stability and enjoyment to the highest levels. What is the performance of SAEMs motor? A huge amount of torque with its planetary gearbox. The performance is adjustable via the app to fulfill the legislative restrictions in the country the product is used in and peaks at 600W. But especially on inclines the combination of the motor and the planetary gearbox allows you to go even further and faster. What makes the latching mechanism so special? The latching mechanism is unique in this category. No quick release is needed so SAEM is ready to ride in an instant. As the handlebar is unfolded the mechanism is latched automatically and ready to ride immediately. Why will SAEM always be by your side even in an airplane? SAEM fits – by removing the front wheel – easily in your hand luggage. Furthermore the battery pack meets the rules for being transported in an airplane with its capacity of less than 100Wh. 3 Wheels - but why? This leads to its small footprint and the low weight. In addition you just leave SAEM standing next to you, ready to continue your ride whenever you want. Approximately 15 km /9.3 miles per battery charge. Add an additional battery pack and double your range. What happens when you run out of power? Not that much. You don‘t have to carry SAEM, SAEM will still carry you. Just use SAEM like a conventional scooter. What about the charging time? As fast as your mobile phone depending on the charger. Wait 2 hours and SAEM is completely charged and ready for new adventures. If you don‘t have that much time just charge SAEM according to your personal requirements. SAEM has two brakes. You’re having a mechanical brake over each of the rear wheels. In addition you’ll find a brake lever for the electric breaking system on the handlebar. What is the max. user weight for SAEM? SAEM permits a user weight of 120 kg / 265 lb. Where am I allowed to ride SAEM? There are different legislative regulations for electric scooters in each country and the user is advised to use SAEM accordingly. At the moment a consistent law is prepared by the European Union. In Austria PLEVs are seen as electric bikes with the same regulations. In Germany the authorisation is expected to be issued at the beginning of 2019. Why do I use SAEM for the last mile of my journey? The small footprint and the low weight makes SAEM an excellent choice for the last mile. Whether kept in the car boot to use for after work activities, carried on public transport for the last miles from the station to work, on the plane for city trips or in a locker on your yacht to buy fresh bread for breakfast, wherever you go SAEM accompanies you. So what is your next adventure for your and your SAEM? Where can i buy my SAEM? SAEM is exclusively available in our own online shop. As of today it is possible to pre order the Limited Edition of SAEM – with an expected delivery date of July ‘19. 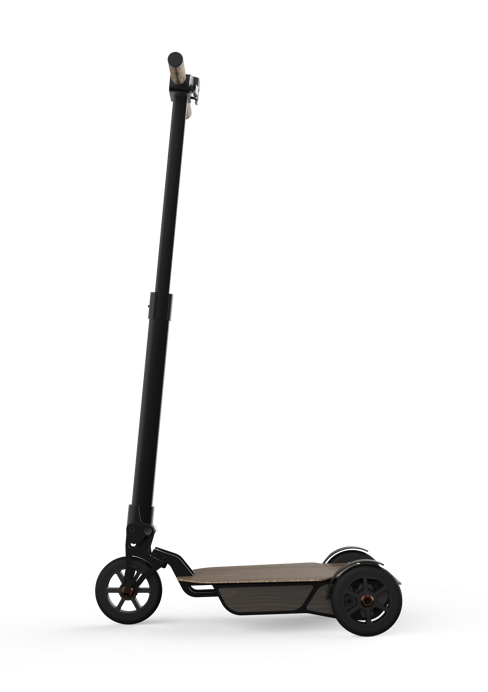 Your pre order allows us to improve SAEM even further and to produce the first run of SAEM scooters! What does preorder SAEM mean? We thank you for your given confidence in our company and the anticipation in our product. Buying a limited edition product now – with a special present for our early adopters – allows us to give the final touch and perfection to SAEM – and to deliver your personal SAEM to you in July ‘19. Thank you very much being part of it and believing in our vision. What are the features of the SAEM App? For further information follow this link to the feature page of the app. How much will the App cost? The App is availalbe for free in the App Store (iOS) or the Play Store (Android). At the moment it is still work in progress and we will inform you as soon as it is publicly available.